A different cultivar of the bulbifer. 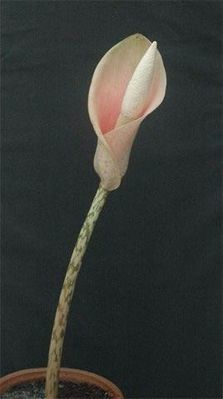 It is distinguished from its stem which is over 1 feet tall and inner part of the spathe has more fills of pink color. Definitely a cultivar to try for the Amorphophallus lovers.